REFORMA DE UN PISO EN MONTGAT, originally uploaded by AIR. Estudi tècnic..
El mobiliario de cocina es de la casa Porcelanosa. 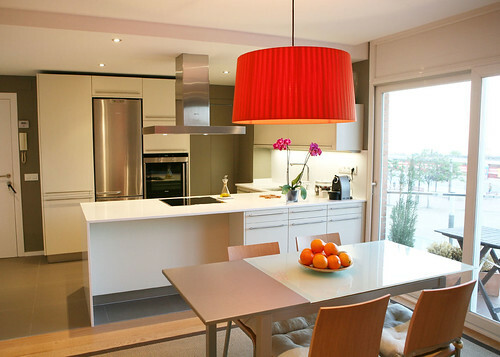 Las puertas son lacadas y la encimera es de Silestone Blanco Zeus. El color de las paredes es el AC 170 de ARTS &CLAUS. livingroom, originally uploaded by Blossom Charm. Kitchen, originally uploaded by yong_uk. untitled, originally uploaded by dominic-french.com. 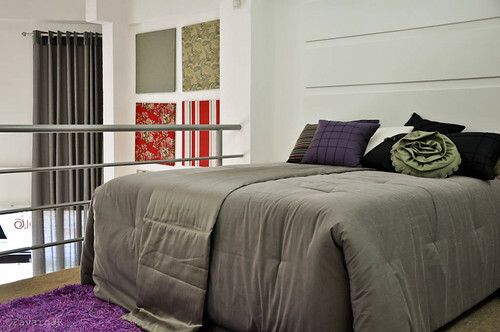 Bedroom, originally uploaded by favaro JR..
using grey furniture is very easy for home interior because grey is matched with every colour scheme. 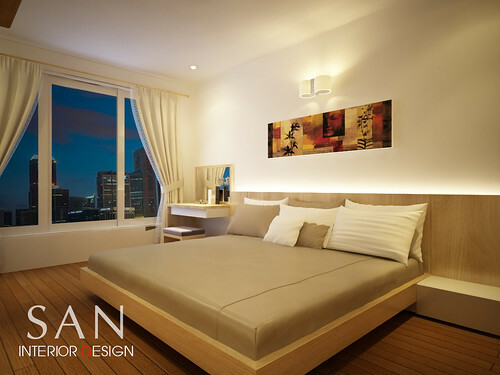 Mr Nhat - Tube House - Bedroom Interior Design, originally uploaded by santasel. Lindsey Adelman, originally uploaded by plastolux. , originally uploaded by plastolux. 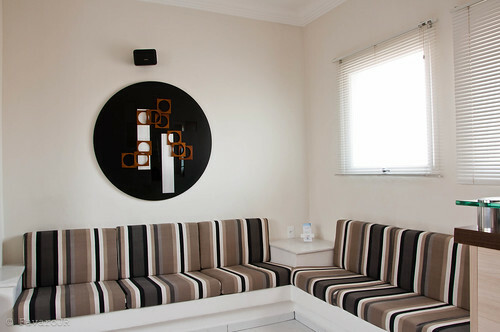 Living Room, originally uploaded by favaro JR..
white living room with earth tone sofa. Modern Chic Grey and Purple Living Room, originally uploaded by BrunchatSaks. 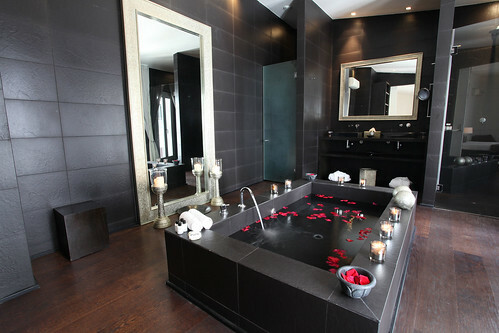 Modern egged shaped bathtub reflecting modernity and simplicity in the interior design of a Concorde Suite at the Hotel Concorde Berlin in Germany, originally uploaded by Concorde Hotels Resorts. Each Concorde suite is designed with subtle differences - one suite features a glass partition, separating the bathroom and living area, which changes from opaque to clear at the touch of a button. In the Suite Blanche, a white marble wall radiates a pleasant coolness in the bedroom. This cool looking egged shapped bathtub is one reflection of the modernity and simplicity in the interior design of this suite. Indulge yourself in a "cocoon bath experience"
Alisberg Parker Architects, originally uploaded by It's Great To Be Home. Royal Marble, Decorative Wall and Floor Tiles for Bathroom and Kitchen, originally uploaded by Kitchen Interior Design. Phoebe Howard, originally uploaded by It's Great To Be Home. Black walled powder room via Lonny Mag, originally uploaded by Lyndar T. Merciless. 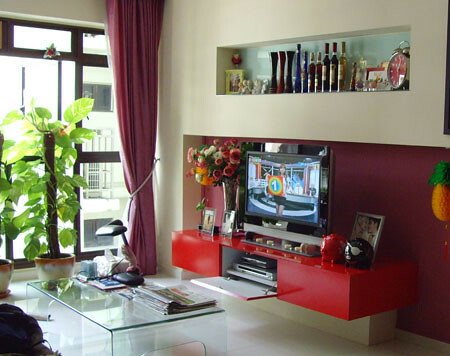 Living Room Interior Design - Tube House - Mr Nhat , originally uploaded by santasel. Marie Nichols Inspiration, originally uploaded by frillie designs. 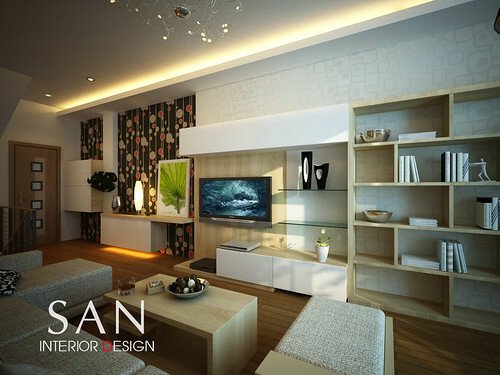 open space living room shared by living area and dining area. sometimes you can use dining table for informal meeting. 1, originally uploaded by plastolux. 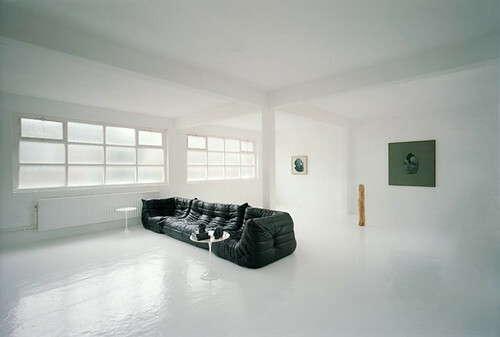 big white living room with black comfort sofa. จากการสอบถามผู้ประกอบการหลายรายพูดเป็นเสียงเดียวกัน ราคาขยับขึ้นมาก เมื่อเทียบกับราคาประเมินในปี 2552-2554 ติดถนนเลียบคลองสองเคยอยู่ที่ 1,300-14,000 บาท/ตร.ว. ถนนคู้บอนขยับมาอยู่ที่ 40,000-50,000 บาท/ตร.ว. 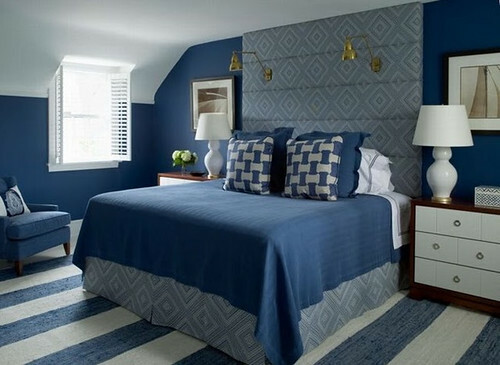 Cozy Bedroom, originally uploaded by What I've FFFFOUND!. Best color suit with grey, white and red. interior-design-bathroom-150710-12, originally uploaded by Flame80. 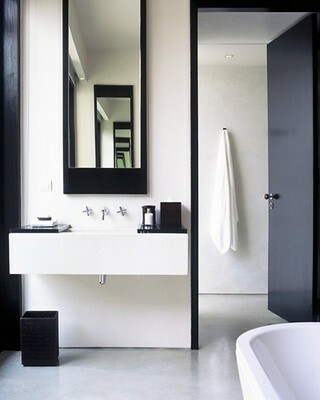 Interiors, Bathrooms: Black & White, originally uploaded by camillestyles. bonjour, originally uploaded by williamdohman. Say hello in French! 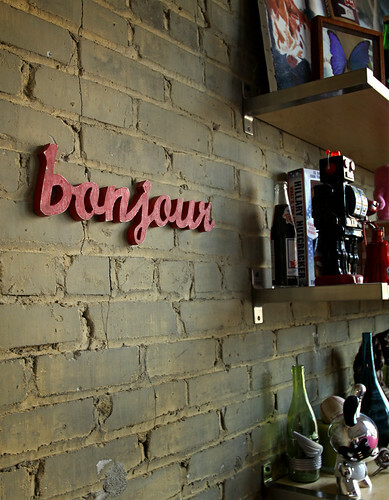 This sign is made from recycled wood (found as construction-site leftovers) and painted and sanded for an aged look. Perfect for a front door, foyer, or shop window. 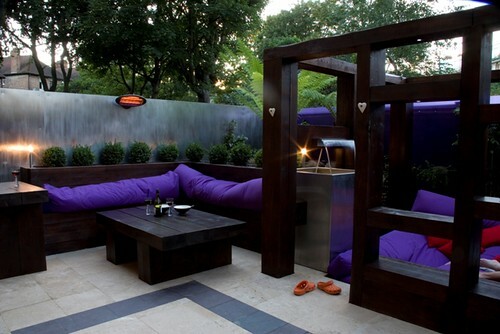 The 'Wow' Garden, originally uploaded by Earth Designs - Garden Design and Build. Brief: The brief from this client was to create a low maintenance, accessible and above all stylish garden, suitable for dining and entertaining. The client was looking for a real 'wow' factor and wanted the exterior of their property to mirror the high finish and individuality of their interior space. 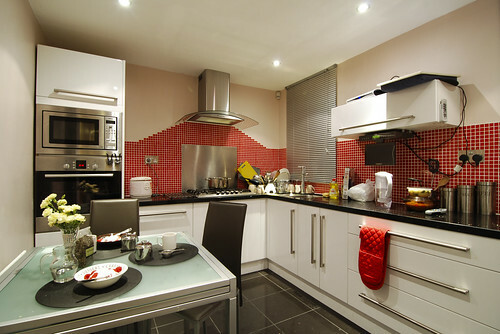 The existing space suffered from many drawbacks - it had an uninspiring, drab layout and was excessively overlooked from flats above and to the right and left. Its North facing aspect means that it does not benefit from a great deal of sunlight. Solution: This design created create a stylish and contemporary space with a plethora of visual stimuli that offers extensive opportunity for enjoyment throughout the year. The existing fencing along the rear and right hand boundaries was clad with opaque purple Perspex sheeting to create a uniform, modern backdrop to the space. Two distinct seating areas, each designed with a different use in mind, were created to allow the client maximum scope for entertaining and relaxation. The first, in the top right corner of the space, forms the main focal point to the garden and comprises a slightly sunken conversation pit enclosed within a four-poster bed style structure. Constructed from sturdy railway sleepers, this area offers ample space for lounging and serves as a visually imposing talking-point. One side of the structure includes numerous open shelves, allowing the client to display a variety of sculpture and ephemera, while a second side houses a bespoke stainless steel water feature. The water feature itself is comprised of a large stainless steel tank fed from above by two stainless steel water blades. For comfort, large custom-made weatherproof cushions cover the conversation pit floor. These cushions can be removed and stored during inclement weather. The second seating area, centre left of the space, comprises an L-shaped railway-sleeper fixed bench backed by a railway-sleeper raised bed. Serving as an informal alfresco dining area, this section of the space benefits from a low coffee-style table with a second table at kitchen-counter height, beside which the client has placed a BBQ for alfresco food preparation. Flooring throughout is in attractive cream travertine, laid in a formal grid pattern and inlaid in the centre with a single rectangular strip of plum slate tiles, providing an elegant contrast to the dark stained railway sleeper structure and seating. The left hand boundary was clad with stainless steel sheeting to create a stunning backdrop to the dining area. This panelling continues along the boundary beyond the seating area to mask a bespoke storage area in an alcove to the left of the space. The stainless steel theme is echoed with the addition of six stainless steel planters placed at intervals around the edge of the paving. Planting in the space follows a strong architectural theme, consisting of sculpted box balls and tall, elegant allium in the raised bed, framed by the primeval fronds of dicksonia antartica (tree fern) clustered in the flush bed beyond. The box ball theme is echoed in the stainless steel planters spaced around the paving and a variety of climbers have been placed so that they will gradually adorn the Perspex fencing over time. A comprehensive lighting scheme was installed with mood and accent in mind. Down-lighters installed within the alcoves of the railway sleeper shelving unit create a centre piece of the sleeper structure, while stainless steel bollard lights frame either end of the bench in the dining area. The paving is edged with in-ground up-lighters placed in front of each stainless steel planter to give balance to the space, while a submersible light installed within the water feature tank casts a gently undulating light across the back of the space. Low voltage spots cast a gentle glow across the back of the space and weatherproof wall-mounted infra-red heaters, one in the conversation pit and one on the boundary wall beside the bench seating, allow continued enjoyment of the garden on chilly nights. Testimonial: "Many thanks, we are so thrilled with the entire garden. 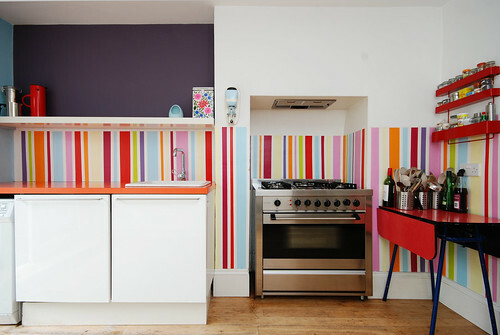 It is imaginative and bold but also practical and truly reflects our personalities! 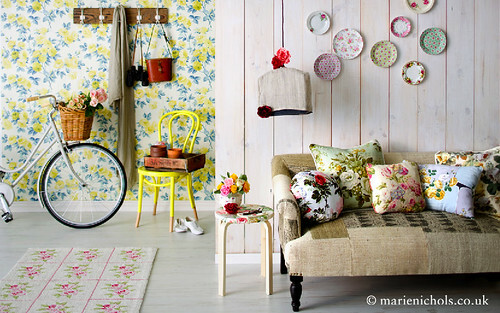 You have transformed an ordinary space into something quite magical." If you dig this and would like to find out more about this or any of other of our designs, please stop by our web-site and have a look at our work. Earth Designs is a bespoke London Garden Design and build company specialising in classic, funky and urban contemporary garden design. Our Landscape and Garden build teams cover London, Essex and parts of South East England, while garden designs are available nationwide. Please visit www.earthdesigns.co.uk to see our full portfolio. If you would like a garden designer in London or have an idea of what you want and are looking for a landscaper London to come and visit your garden, please get in touch. Follow our Bespoke Garden Design and Build and Blog to see what we get up to week by week, our free design clinic as well as tips and products we recommend for your garden projects www.earthdesigns.co.uk/blog/. Earth Designs is located in East London, but has built gardens in Essex , gardens in Hertfordshire Hertfordshire and all over the South East. Earth Designs was formed by Katrina Wells in Spring 2003 and has since gone from strength to strength to develop a considerable portfolio of garden projects. Katrina, who is our Senior Garden Designer, has travelled all over the UK designing gardens. However we can design worldwide either through our postal garden design service or by consultation with our senior garden designer. Recent worldwide projects have included garden designs in Romania. Katrina’s husband. Matt, heads up the build side of the company, creating a unique service for all our clients. If you a not a UK resident, but would like an Earth Designs garden, Earth Designs has a worldwide design service through our Garden Design Postal Design Vouchers. If you are looking for an unique birthday present or original anniversary present and would like to buy one of our Garden Design Gift Vouchers for yourself or as a present please our sister site www.gardenpresents.co.uk. 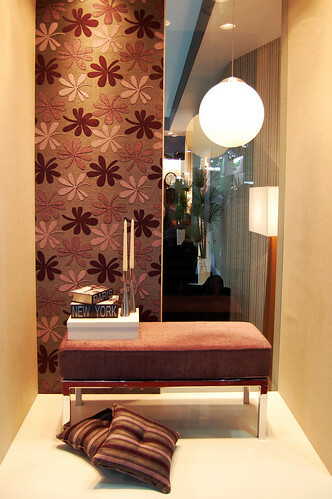 We do also design outside of the UK, please contact us for details. , originally uploaded by kimhas8cats. 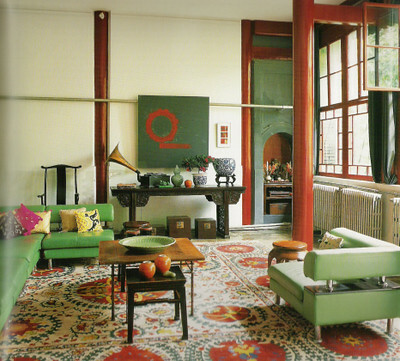 Modern mix in Beijing: Red + green living room by Jehanne de Biolley, originally uploaded by xJavierx. Motel Bedroom, originally uploaded by favaro JR.. Interior architecture photo of a loft living and dining area, originally uploaded by HuntsmanPhoto. Loft living and dining area. White shelving from Moooi. Cherner chairs in ebony. Smoke Chandelier from Moooi. Saarinen oval dining table. 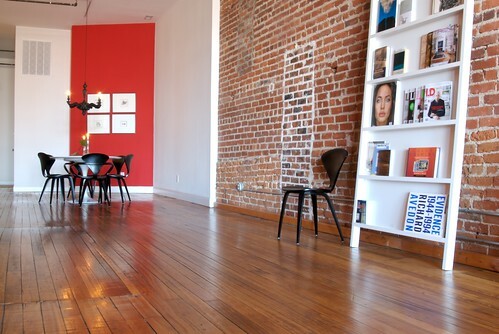 Wall color is Duron Red Alert (AC118R). Simples, originally uploaded by favaro JR..
Spa-style-bathroom, originally uploaded by Axrai.